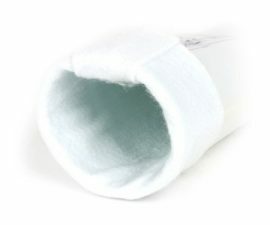 Our lining systems can be used in a variety of gravity and pressure applications such as sanitary sewers, storm sewers, process piping, electrical conduits and ventilation systems. Our system will allow you to repair cracked or broken pipes, eliminate roots, bridge missing pipe sections and stop infiltration and exfiltration. It can be used with virtually any pipe material including clay, cast, PVC, ABS and concrete. HammerHead liners, resins, and calibration tubes ensure your projects get completed faster than conventional open cut replacement projects. 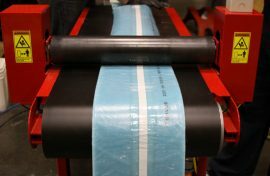 Consumable supplies and materials used in the CIPP (cured-in-place pipe) lining process including liners, resin, cal tube, pull tape, recirc hose, pre-liner and inversion lubricant. We provide five options in lateral lining to meet your project needs whether they include with or without bends or high heat. PROTECT THE ENVIRONMENT, USE STYRENE FREE RESINS. We only sell top of the line, 100% solids, epoxy resin blends to ensure the highest quality installations while still protecting the environment. 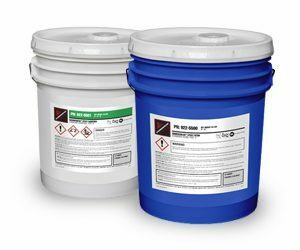 Epoxy resins are inherently free of odors, HAP, and volatile VOC emissions. They also provide superior adhesion and are virtually shrink free compared to styrene making them the best choice for CIPP applications. HammerHead epoxy resins have a proven track record in conjunction with felt, woven or fiberglass liner materials.